Jurgen Klopp believes the time has come for Liverpool to demonstrate their resolve following their recent setbacks. The Reds have only won two of their last five league outings following successive 1-1 draws against Leicester City and West Ham United. Due to this, Liverpool have seen Manchester City leapfrog them into top spot of the Premier League table on goal difference. 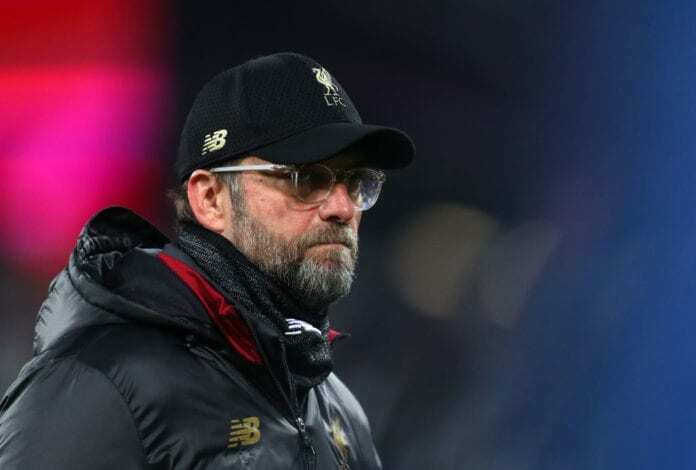 And questions have been raised recently on Liverpool’s mentality with critics suggesting that they’ve lost their cool due to the pressure involved in ending the club’s 29-year wait for another league crown. But Klopp’s men do have a game in hand over City and can retake the lead on Saturday if they manage to claim at least a point against Bournemouth at Anfield before the defending champions take on Chelsea the next day. “That is completely normal,” said Klopp on the club website, when asked about the recent comments made over Liverpool’s slump in form. “If you want to be top of the table and a champion at the end of a season, you have to show in situations like that – and there have been worse situations in my life, in your life, in everybody’s lives probably than that – real passion, real desire, you have to fight. “That’s what you have to do, you cannot come through with passing a little bit around and stuff like that, you have to go through. “I got a message this week – and that’s another sign that some people think I need help, but I don’t need help! Thank you very much! I am fine – that said in the last 10 games City dropped 12 points and we dropped seven. “I didn’t know that because I don’t think like that. Is it interesting for me? No, it’s not really interesting, but obviously, the view from outside is completely different. “Then it was something about the games outside the top-six teams – City lost three, we drew twice, but it feels different. “That’s the world outside and we live in that world as well, so I know that the people are confronted with these things, the players are confronted with things like that and it’s completely normal. The German is hopeful that Liverpool can return to winning ways this weekend as the title battle between them and City begins to heat up. Klopp added: “It’s obviously getting exciting now. There was never a doubt it would happen, that was always clear. “I don’t think anybody thought we would be top of the league with 12 points between us and another team with three games to go. It was always clear it would be tight until the end. “The good news is we are still in there. But the only chance to improve our position – even when it’s a good position – is by winning football games. The Liverpool and Bournemouth game will begin at 4:00 PM (CET).